Toyota’s 4Runner has been around for quite a while. The Japanese auto maker introduced this body-on-frame SUV way back in 1984. It was a modified version of the Toyota Hilux pickup with an added row of seats and a removable fiberglass top. The 4Runner is a vehicle designed for practicality, toughness, and a bit of adventure. When work can be set aside, however, the 4Runner is free to reveal its rugged, off-road personality. The people in the 4Runner get to do that, too. Note: When you click the “Check Price” button you will be redirected to Amazon.com. In your 4Runner, you can get out of town, way out of town, and escape civilization for a little while. With the family loaded in, room in your SUV quickly becomes tight. 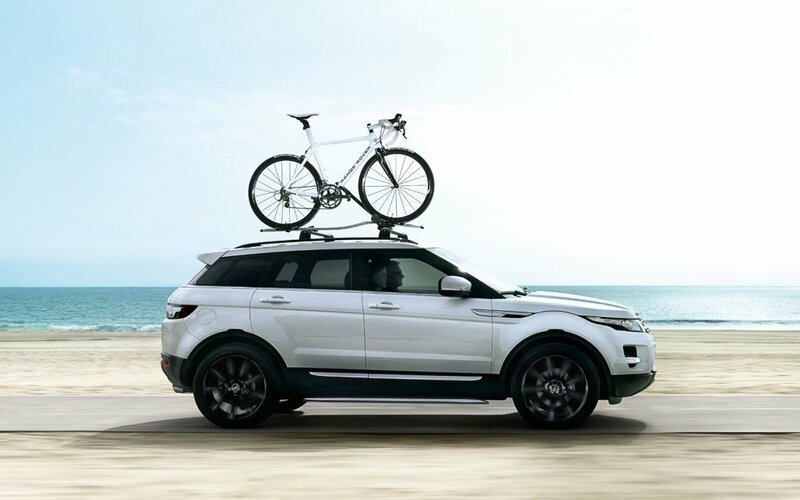 For the space you need to bring along the stuff to make your valuable time away from the office grind fun and memorable, you want a roof rack. There is an unbelievable assortment of roof racks, boxes, carriers, etc available for the 4Runner. We aren’t going to discuss them all, of course – just a few that we think are particularly useful, beautifully made, and economical. To begin, here’s a quick look at some of the different product types that are available. 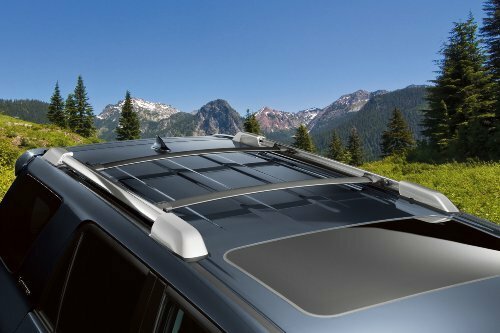 If your SUV doesn’t have a built-in roof rack, the base rack system is the starting point for setting up rooftop storage. Depending on the type of vehicle you have, the system will consist of one or more of these components: First, you have the load bars or crossbars, which run across the roof of your vehicle from the driver’s side to the passenger’s side to create mounting points for your other accessories, such as boxes, tie downs, etc. They can be attached to mounting towers or feet added to the bare roof of a car or SUV. A fit kit, also known as a landing pad, is a set of parts with a vehicle-specific design, used to attach the feet or towers to a roof. The cross bars also can be mounted to your vehicle’s existing roof rails. You can think of a roof rack as a series of crossbars mounted to your vehicle. You can use a cargo net or tie downs to secure items to the rack. Some racks have bolt on hardware to hold bikes, kayaks, and other fun stuff solidly to the rack – no tie downs or nets needed. Roof cargo baskets are similar to roof racks but take the idea one step further: In addition to multiple tie down points, baskets also provide a box-like frame to provide extra reinforcement for your luggage. They are usually large, strong, and ruggedly built, and can offer a wider range of storage possibilities. You can carry just about anything in a spacious and stylish cargo box. These are usually large, hard-shell plastic boxes, ranging in capacity from about 9 cubic ft. to 22 cubic ft. or more. They are lockable and will often feature an aerodynamic design to help keep fuel efficiency up and wind noise down. The roof cargo bag is a fine alternative to the heavier and hard plastic cargo box. You still have the large storage compartment, able to hold whatever you wish to pack into it, but in a much lighter, foldable and easy to stash away container. Most of these types of bags are made from some sort of waterproof material – vinyl or nylon – to protect against the elements. You can use many types of cargo bags without having a roof rack or base rack system in place – they come with straps that can be looped through the side windows of your vehicle or hooked onto the doorframe. There is an incredible variety of canoe and kayak carriers, with designs that range from simple cushioning pads, to complicated mechanisms that feature saddles, cradle arms, hooks, and elaborate tie downs. Many of these systems include rollers or various types of lifters to help you get your watercraft into position. It’s a big subject – beyond the scope of this article. 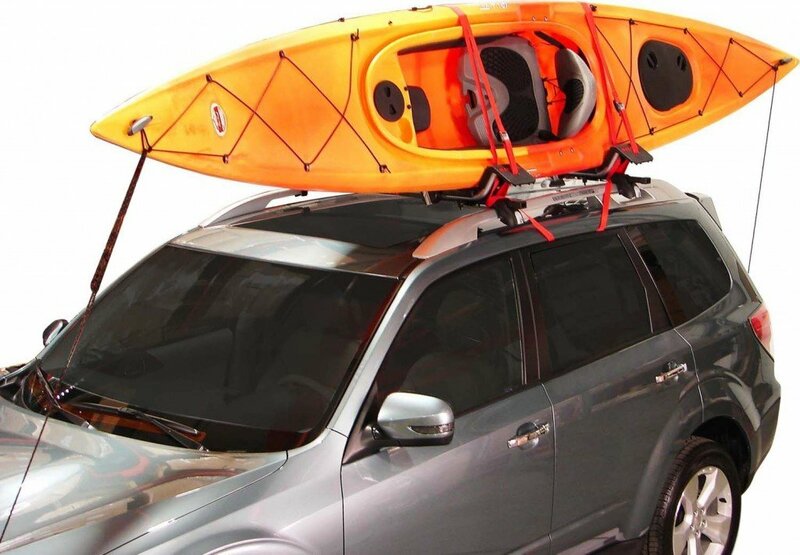 Again, another area of the market for SUV roof racks that could generate enough material to fill a website of its own. Racks and carriers for bikes, skis, kayaks and snowboards range from simple clamp-like holding arms that grip your prized snow toys and hold on securely, to narrow, flat rooftop boxes that will carry all your winter sport equipment. 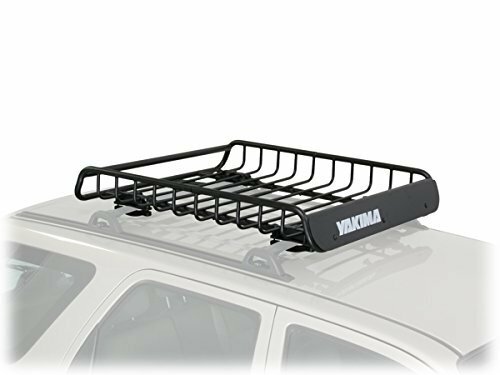 There are many other designs and styles available that can be used as a 4Runner roof rack. When you want to be ready to haul just about anything, from “bikes, skis and boats to luggage, double basses and furniture,” have a look at the Yakima LoadWarrior cargo basket. This hard-working hauler features weather resistant, heavy duty tubular steel construction, and its universal attachment system is engineered to connect to round, square, factory and aerodynamic crossbars. Included installation clamps, fasteners and instructions should help you get your LoadWarrior ready to do its job in about an hour, or so. There is a lot of real estate on this basket: Exterior dimensions are 40 in. x 39 in. x 6.5 in., and it weighs about 25 lbs. If you need more carrying capacity, there is an optional extension available that will add 18 in. (40 percent more storage space) to the basket. Once installed on your 4Runner, you can carry just about anything with it. And the basket will accommodate most Yakima gear mounts. The rack carrying weight limit, per the manufacturer, is 140 lbs. The included wind faring will help to cut down on wind resistance, helping to keep the rack quiet at highway speeds. But you have to expect some noise and probably the loss of an MPG or two – you don’t get something for nothing. This rack seems very solid – it’s a product that is built to last. And its powder coated black finish is smart and stylish. The LoadWarrior is a beautiful, impressive piece of equipment. It will look awesome at stop lights. Here is where your 4Runner adventures really begin. Once you install these crossbars on your vehicle, a whole world of storage possibilities opens to you. 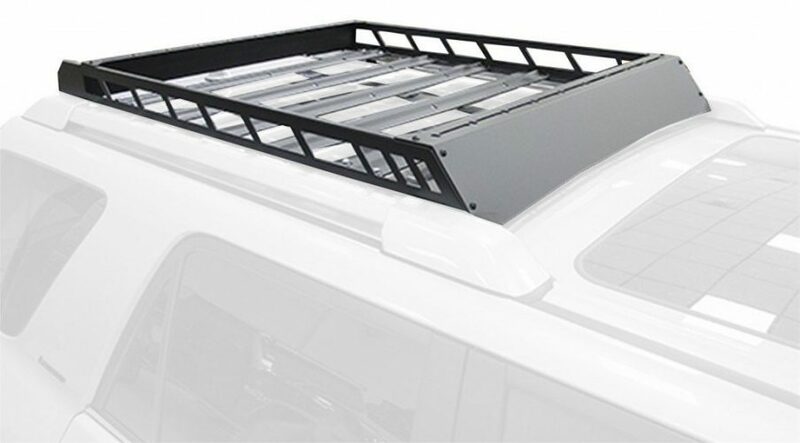 The bars give you secure tie-down points for roof rack accessories, such as cargo boxes and bags, cargo baskets, kayak and canoe carriers, and more. What you get for your money is a pair of sturdy crossbars – OEM parts – designed to be fitted to the roof rails of the Toyota 4Runner. The set is advertised to fit 4Runner models from the years 2010 to 2018. 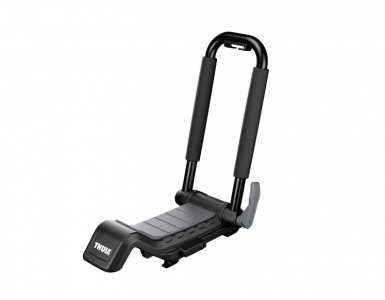 These crossbars allow you to carry up to 132 lbs. of fun stuff (when the weight is evenly distributed across both bars). They seem to be available only in black. Installation is easy, though it requires some care and attention. You have to pry off the plastic rear covers from the roof rails first – they are attached to the rails by plastic tabs. A screwdriver works well for this. Then, the crossbars slide into the slots in the rails. Each bar bears a bright yellow label with either “Front Crossbar” or “Rear Crossbar” printed on it, and an arrow showing you which edge of the bar should be pointed toward the front. You can’t miss. After the bars are seated in the slots, you can position them anywhere along the side rails. Once you get them into place, the bars lock into place with thumbscrews. You get a tremendous amount of utility from these bars – they are well worth the initial investment and the minimal amount to work needed to install them. We can’t really think of any downsides here. Please note: This particular set of crossbars is only one of many available for the 4Runner. There are various styles and crossbar parts available across a range of production years. And here is another way to find what you are looking for: Visit this Toyota parts page. Locate your vehicle by year and type (it takes a few clicks, but your patience will pay off), find the part you are looking for and copy the part number. Then, paste the part number into the Amazon search field. Simple as that. For even greater utility than the crossbars, you might want to check out this sturdy roof rack by N-FAB. This rack is advertised to fit all styles of four-door 4Runners from model years 2010 to 2018. This aluminum roof rack is a piece of cake to install on your 4Runner. No drilling necessary. The N-FAB rack bolts on to the factory roof rails. You might need a helper to assist you with lifting the rack on to your roof, but if you don’t mind a bit of lifting you can do it yourself. The N-FAB rack comes in pieces, all packed into a slim box – so you have to do some assembly work. But easy-to-follow instructions are included — If you can assemble an Ikea chair or table, you’ll have no problems assembling the N-FAB. After assembly, most people load the rack over the side of their truck. It’s a good idea to have some protection on the rails and roof to avoid damage – some bubble wrap or even just some towels will do. Get your ladder out, because you need to be up and over the rack to bolt it on. Once you have the rack installed, you can mount just about anything to it. It is load rated up to 150 lbs. This rack is available in a textured black powder coat finish. It is also relatively compact, measuring 21 in. x 21 in. x 12 in. high. It has a sleek, aerodynamic “wing” on the front designed to keep down noise, which can be an issue with some racks. And, on top of all the utility, this N-FAB is a great-looking accessory for your truck. So, when you hear your friends say, “Nice rack!” no need to be offended. They’ll be looking at your truck. 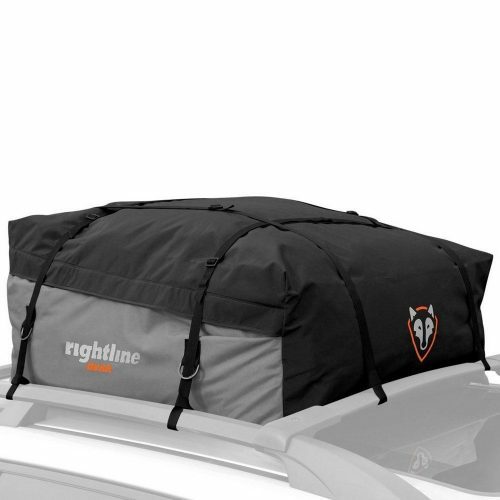 The Rightline Gear 100S10 Sport 1 Car Top Carrier is an extremely versatile rooftop storage solution. It’s a cargo bag that offers a whole lot of room for your stuff, gives you a variety of options for securing it to your vehicle, and is foldable so you can stash it away easily when it is not in use. Rightline claims that this bag is 100 percent waterproof and many reports from users who have done some traveling with this carrier suggest that this is true. The bag is made from “UV protected PVC Semi-Coated Mesh XT and Hydrotuff.” Also, the seams of the bag are sewn together and then welded shut to prevent water from leaking inside. The zipper is coated with urethane and is concealed in the front flap of the bag, rather than in the seam between the flap and the bag. The idea is that this location protects the zipper and keeps water away. It makes sense. With the zipper located where the flap meets the bag, water that is blown up forcefully into this crease while you are driving can make its way into your bag, saturating everything inside. Get a better look at the design of the bag here. You can use this sports top carrier with or without a roof rack. It comes with attachment straps that can loop through your side windows – though some users have complained that rainwater runs down the straps into your car when you do this. The bag also comes with car clips that will securely hold the bag to the interior frame. Of course, you can tie the bag to your crossbars, if you have them. A suggestion we think is worth considering is using a non-skid roof pad, like this one (also from Rightline), if you are planning to use this bag on the bare roof of your vehicle. A fair number of users have mentioned that the bag shifts around a bit on a bare car roof, causing the attachment straps to loosen. Another recommendation is that you make sure this bag is completely full before taking it out on the road and driving at highway speeds. If you don’t, the bag will flop around wildly in the wind, causing noise, possible loosening of the attachment straps and, well, it can’t be good for any container (or the items in it) to be tossed around violently over a long drive. If you have to, you can stuff it with some pillows or some other type of space-taker-upper to fill things out. It may seem like we’re being hard on this bag, but we’re not really. We like it a lot. It’s a great product. Plenty of storage, lightweight, easy to use, durable, waterproof – we just want to let you know what we know about it. We have saved the best for last. If you’re going to get a cargo box, the Thule Force is a great choice. It’s a beauty. The perfect combination of stylishness, functionality, durability, ease of use, and price. First of all, Force is a line of cargo boxes by Thule. There are five different models to choose from Alpine, M, L, XL, and XXL. As you can probably tell from the names, the main difference between these boxes is their size. (The Alpine is a good 10 in. narrower than all the other boxes since it is intended for snow sports equipment — skis and skis poles are pretty skinny.) the boxes range from 9 cubic ft. for the Alpine (36 lbs.) up- to 21 cubic feet for the XXL (56 lbs.). All these boxes are rated at 110-lb. load capacity. This comparison chart (PDF download) shows you the difference between the various sizes of these Thule boxes. This box is tough. Featuring a diamond-textured Aero Skin shell constructed from ABS plastic five layers thick, the Force is made to withstand the blasts of wintry weather and all the rain and snow nature can throw at it. And this box has a truly aerodynamic shape – it practically looks like an airplane wing. This cargo box might have the easiest installation process of any of the products we have reviewed here. It’s just a matter of placing the box up on the cross bars (with attaching clamps open) opening one side of the box and tightening the Quick-Grip knobs located in the floor of the box. You then do the same for the other side. That’s it. Super simple. Oh yes, the box can be opened from either the driver’s side or the passenger side. Nice. And a large, easy to see — and easy to grab, even with gloves on – Secure Lock ensures that the box is closed and locked. It’s great when form and function come together harmoniously. 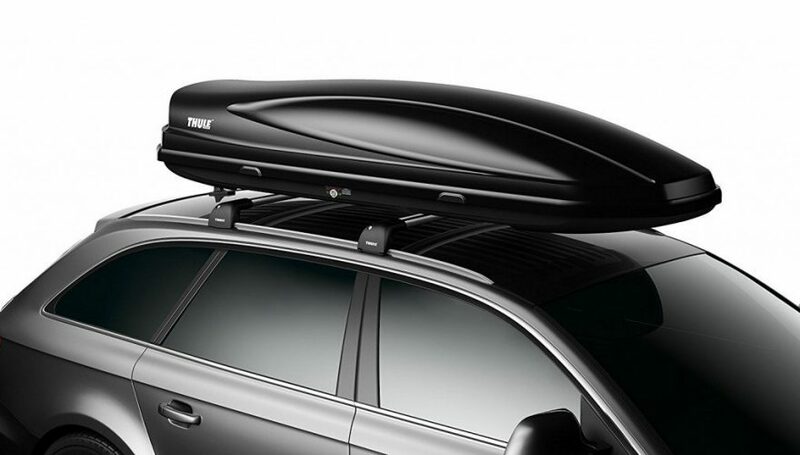 And that’s the case with the Force line of cargo boxes by Thule. With the Force cargo box, you can load in anything you need for your trip. Whether it’s camping equipment, skis, fishing poles, whatever. You also get a chance to practice your packing skills. Loading in your items tightly and securely is important with this box. You don’t want things shifting around suddenly. Do a little planning. But your needs and imagination are the limits for what you can do with this box. We heard a report from one user who claimed to use his Force cargo box as a place to sleep during a winter trip. Well, it’s big enough, that’s for sure. But, um, we really don’t recommend that. 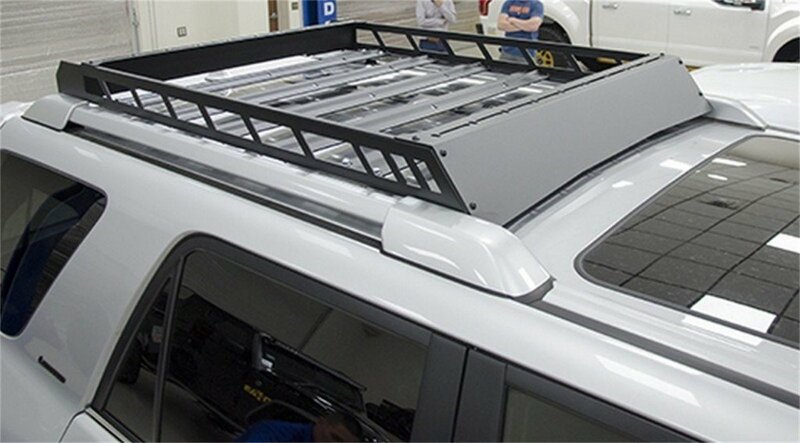 Ultimately, what you buy to provide rooftop storage for your 4Runner or other SUV depends on what you are planning to do, where you are going, and what you want to bring along. If they are not already installed on your truck, a set of crossbars is essential. They transform your genteel, city ride into a hard-working, wild-country hauling machine. The bags and boxes, well, those are up to you. Using these reviews as suggestions and guides, you can do your own research into what is best for you. Manufacturer websites can show you what is available and what it can do. And, of course, Amazon is your friend when it’s time to buy. So, give your 4Runner what it needs to be all it can be. Don’t let the high point of its life be that hurried stop at the Mickey D’s drive-through. That goes for you, too.